Somehow it’s August already. Summer has completely passed me by. And apparently blogging has taken a back seat, too. I’ve been spending as much time outside as I possibly can. I’m hosting my sister’s bridal shower in my backyard next weekend, so a lot of my time has been spent trying to jazz up my yard. It’s been really fun planning the shower! I can’t beleive it’s a week away. I will defintely do a big blog post about it. I’ve purchased a lot of fun items (inluding the cute pink straw you see in these pictures) from a fabulous website called Minted. Minted is a global community of independent graphic designers and an online store that prints and sells the best of their designs in the form of paper goods. I purchased custom invites from them and they were absolutely beautiful! I received so many compliments on them. I have a few more fun items coming my way next week and I can’t wait to share them with you! If you have an event coming up, or just need some cute blog props, I highly suggest checking out their website. I’ve had a few overripe banana’s sittin’ around so the most obvious thing to do was to make banana bread. I opted to go with a new recipe I came across from Anna Olson. It’s egg and dairy free, which worked great, since I hardly had any milk left and I used up all my eggs at breakfast. 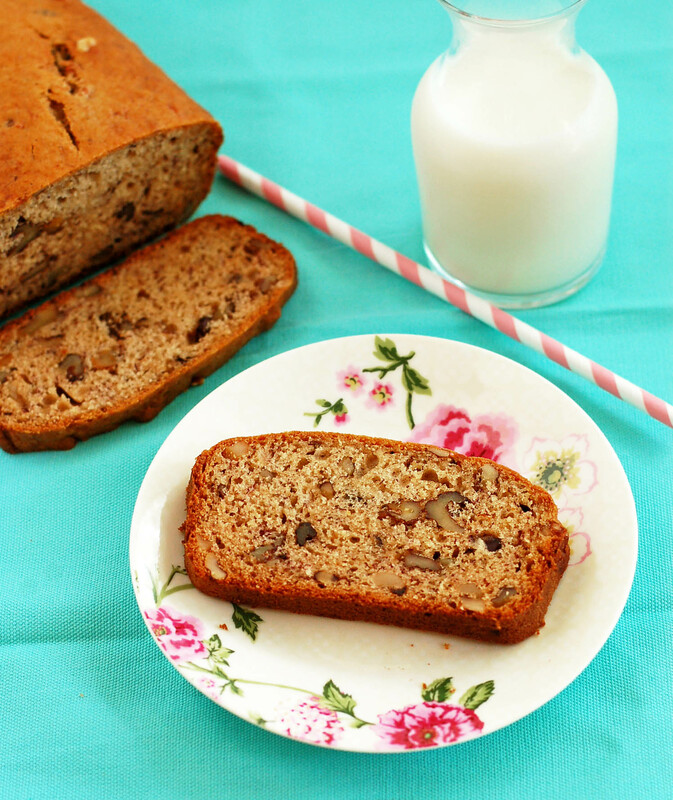 This bread is incredibly moist and full of banana flavor, you won’t even miss the eggs or dairy! I chocked this bread full of walnuts, but it should go without saying that chocolate chips would be a great addition! Whisk together mashed bananas, brown sugar, oil and almond or soy milk. Add the dry ingredients to the banana mixture and stir until evenly blended. Stir in the walnut pieces. Pour batter into the prepared loaf tin, and spread to level. Bake the banana bread for 45-50 minutes, until a tester inserted in the center of the loaf comes out clean. Cool the loaf for 20 minutes in the pan, then turn out to cool completely. 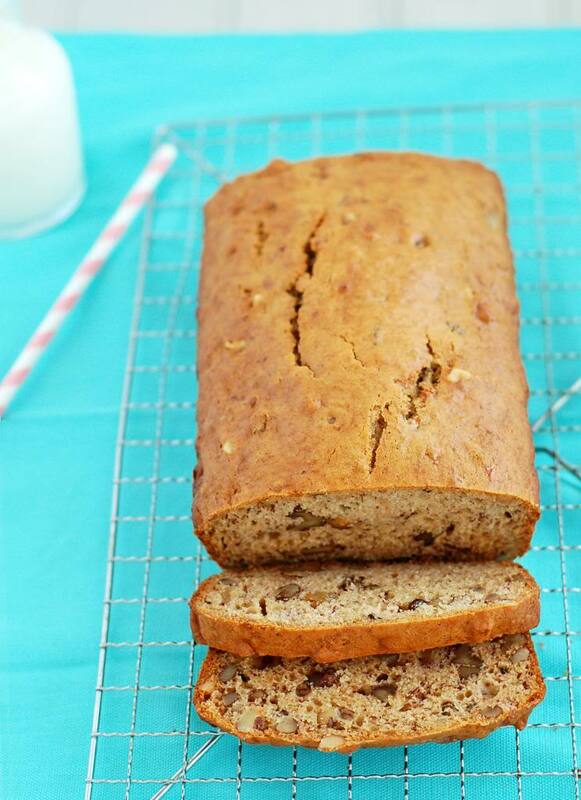 The banana bread will keep for up to 3 days at room temperature, or you can freeze it for up to 3 months. Do not refrigerate.